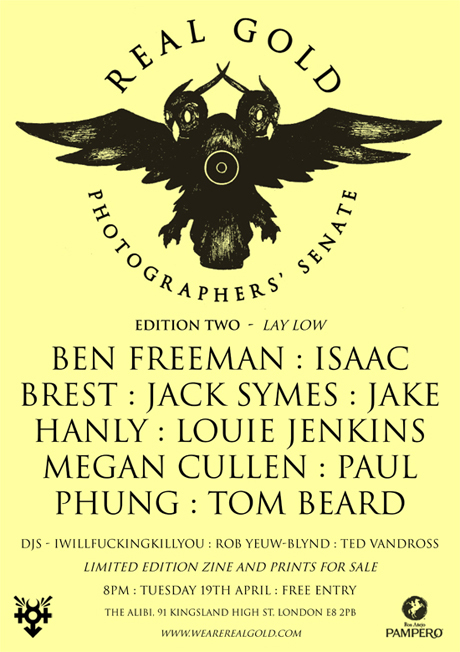 Real Gold Photographers’ Senate is a series of photography shows with accompanying zines, aiming to spotlight our favourite photographers, both new and established. Our aim is simple – to make some noise about the photographic artists we admire most today. Ben Freeman. Isaac Brest. Jack Symes. JakeHanly. Louie Jenkins. Megan Cullen. Paul Phung. Real Gold Photographers' Senate. The Alibi. Tom Beard.